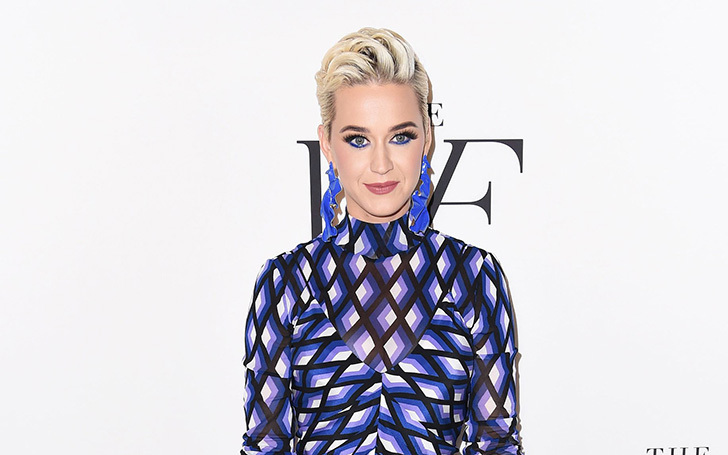 Katy Perry at 10th Annual DVF Awards. Coming back to the Roar singer received the award on Thursday night for her work as a UNICEF Goodwill Ambassador and LGBTQ equality advocate. Katy Perry receiving the award. Arianna Huffington who opted off-the-shoulder blue suit with a low-cut neckline handed the award to the singer.